Monthly reports from international offices help the Missionary Department understand the needs that are unique to each location. No two offices are the same, and no two offices face the same challenges in managing the local work. These reports can detail everything from Agapao Tablet requests to assessing office space, and also provide updates of the believers in the area. The following report comes from one of the most sparsely populated countries in the world: Namibia. The capital city, Windhoek, with 325,000 people, is the population center and the only large city in the country. Outside Windhoek, there are many different tribal people, who speak a number of different languages. 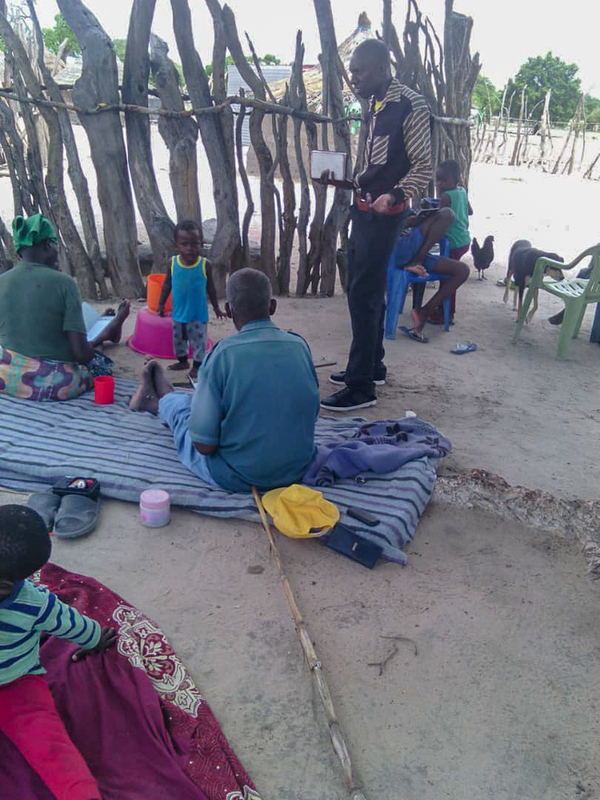 The main language of the country is English, but we are working on getting translations into some of the native dialects, like Oshikwanyama, to appeal to the rural population. 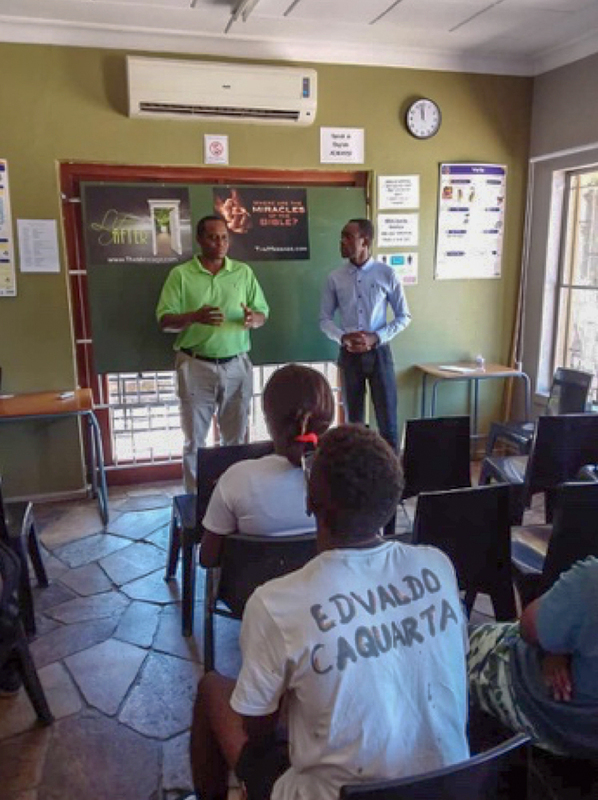 Here is a report from our Namibia office manager. 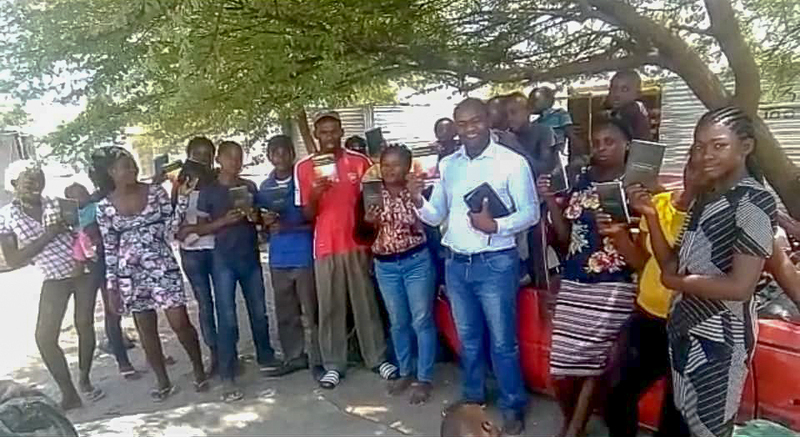 We are continuously receiving visits of believers and of people that never heard about the Message, and we are busy with outreaches and tape services in one of the locations twice a week in Oshikwanyama translated sermons. The response of the people is very positive as they hear Brother Branham for the first time in their own language. 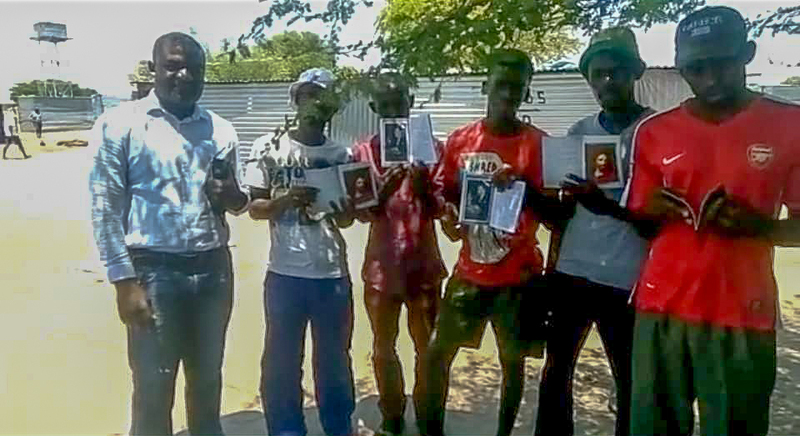 We are thankful for boxes of books and tracts in Oshikwanyama that we received at the end last year. 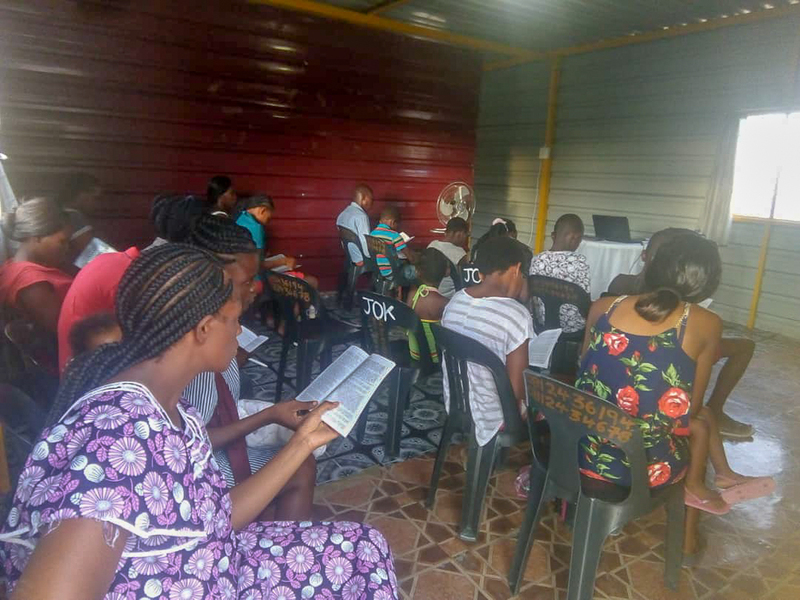 We are making good use of those tracts for outreaches, and we are giving to the people that visits the library and never heard about the Message of the hour. Recently, a young girl visited the library and saw the books of the prophet displayed and questioned us, "What's the new birth? What is to be born again?" She said, " I hear many people speaking about being born again, I really want to know more about the new birth." 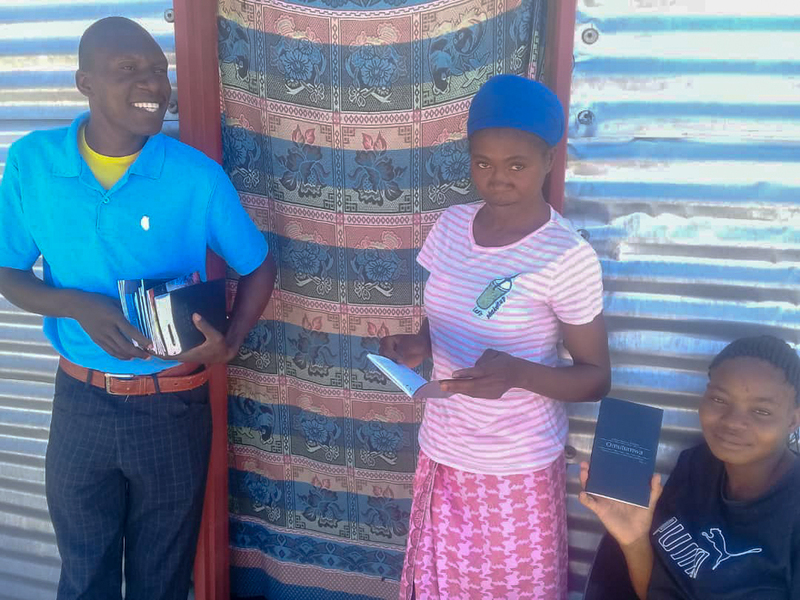 We spoke to her and gave her the tract, "The Messenger” in Oshikwanyama. She promises to return to the library to come listen by herself the sermon, "You Must Be Born Again." Among the visitors this year we also received a group of young brothers that came to look for the book, "Life Story." 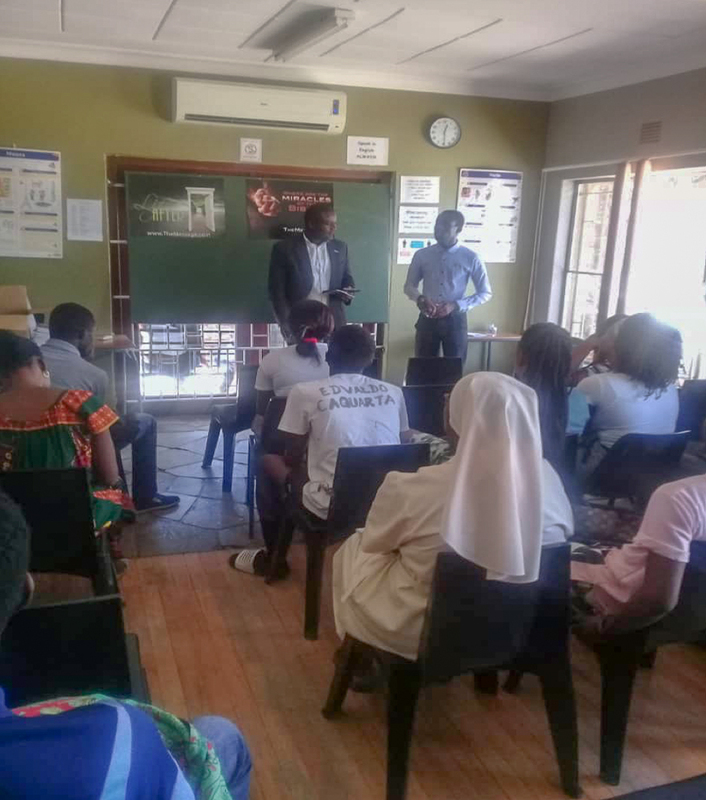 On Friday, March the 1st, Brother Aristedes and myself visited the Westgate School in Windhoek West to speak to new students coming from countries like Angola to study. During their first year they attend the Westgate School to learn English, so they can integrate the following year into the Namibian institutions. It has become a tradition by the kind staff of Westgate to invite Brother Aristedes (a former student) to come to their school to start for them the year by sharing the Message to their new students. We had the opportunity to speak to two classes for an hour with each class and to pray with them. Afterwards we also shared Message material with those interested, and pointed them to the web page. Before we started we set up an announcement from themessage.com page on the board of the classroom. Throughout the years many Portuguese and French speaking students actually became believers through this generous gesture of the school management. Our translator for the day Brother Jovi (in the photo) also came that way. Present in one of the classes, there were students that appeared to be Catholic nuns. We had a great time talking about Christ while pointing them to the Message. 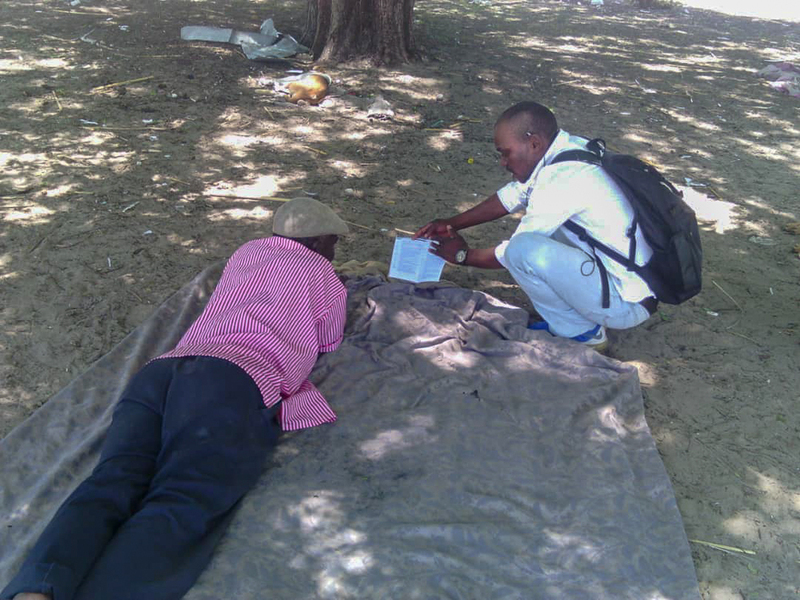 On Thursday Pastor Maseko from Rundu visited the library. 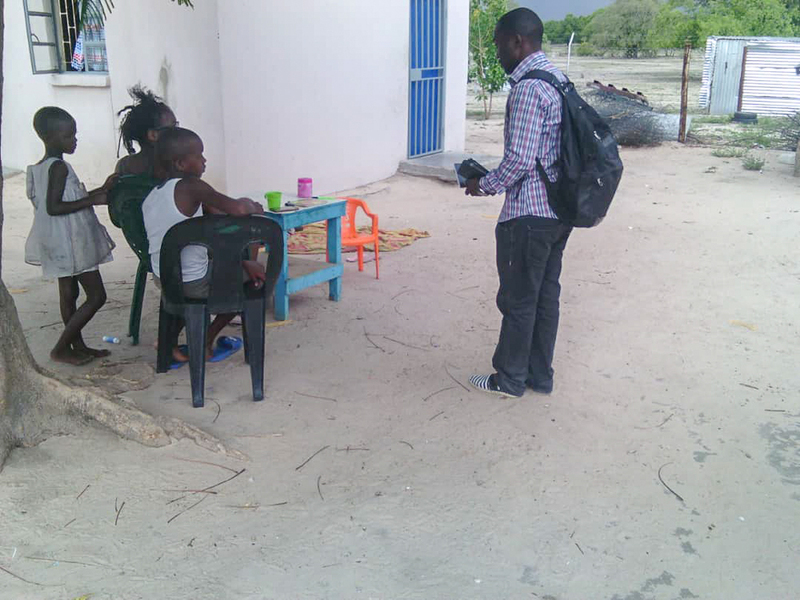 You will remember that we had a material delivery tour in 2015 or 2016 with Brother Keith and that we also visited Rundu. 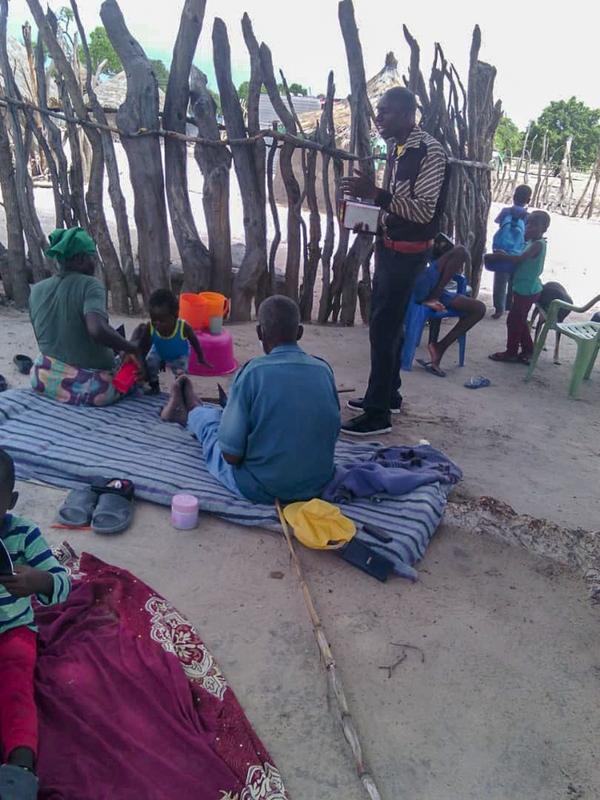 In that year Brother Maseko just started a small home church with two other brothers. The Message then just started to come to that town. 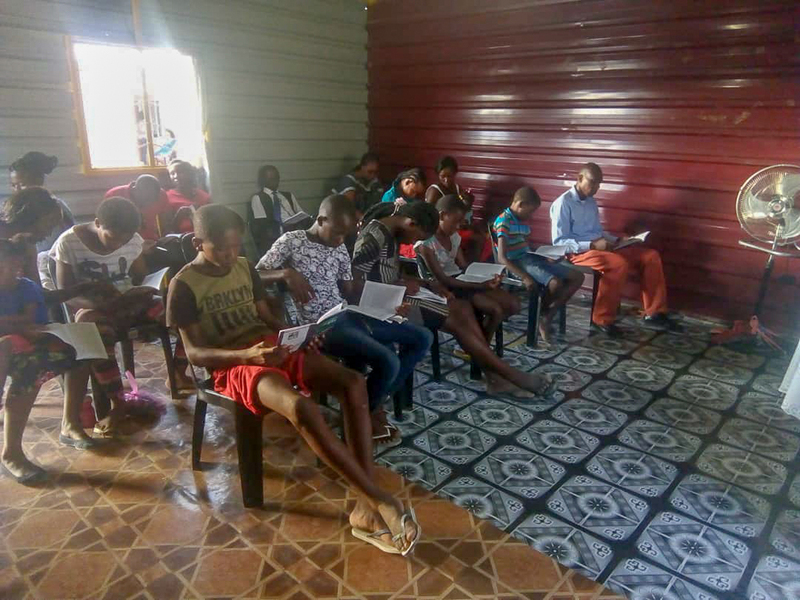 News from Pastor Maseko is that the work amongst locals is growing and that he also now have some Portuguese and French speaking brothers that came to believe and are helping with the work. He came to the library to see if VGR could help with Portuguese and French audio messages for new believers. I helped him with audio material in both languages and also pointed him to the web page where he can find the latest uploaded messages. The brother was very glad that he finally had a way to help everyone in their own language. 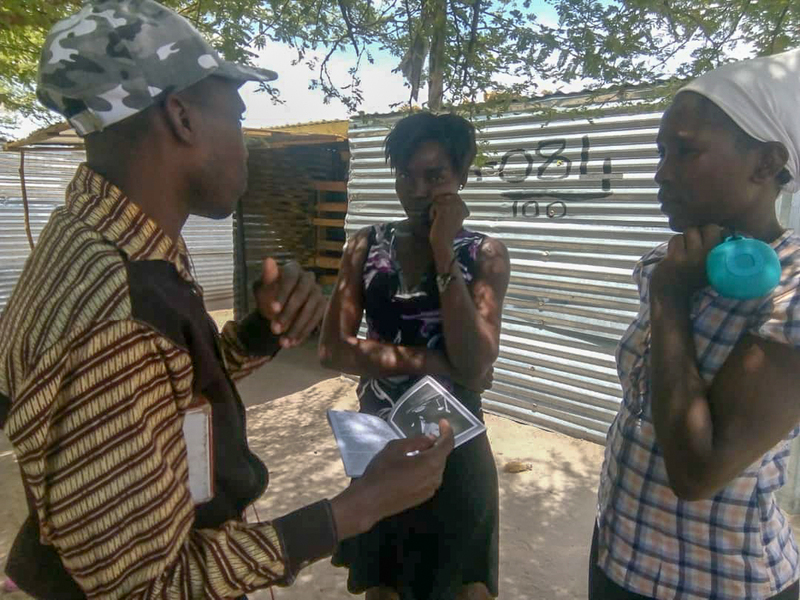 We have been able to set up an advert box where we can put in tracts on the main street of Windhoek. Many people pass in the main street on their various ways. The previous company that came in to rent the office on that corner didn't want us to set up a advert box on the building pillar next to their shop, but since they moved, I was able to return the box. Thank you very much for providing this Message in the people's own language. May God continue to bless you richly.